Rock out like a Diva! 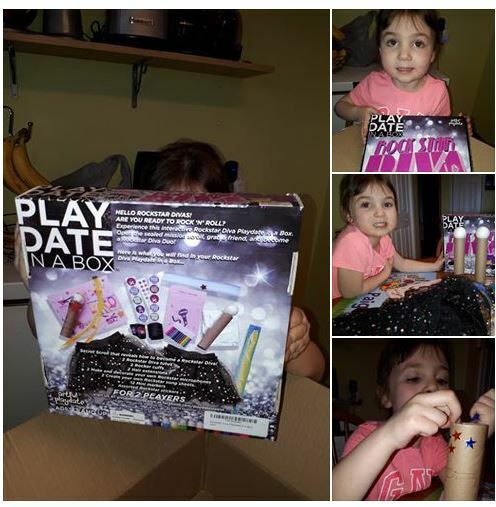 Diva Playdate in a Box is a creative activity kit that encourages kids to have some rockstar fun! This activity box includes two rock star diva tutus, two rocker cuffs, two hair extensions, two make-and-decorate rockstar microphones and song sheets. 12 mini markers and lots of rockstar stickers are also included. Rock on with your tutu, hair extension and jamming songs! Watch this video for all the silly fun! For full review and shopping info? Product Info: Diva Playdate in a Box is a creative activity kit that encourages kids to invite a friend over for a playdate and some fun! 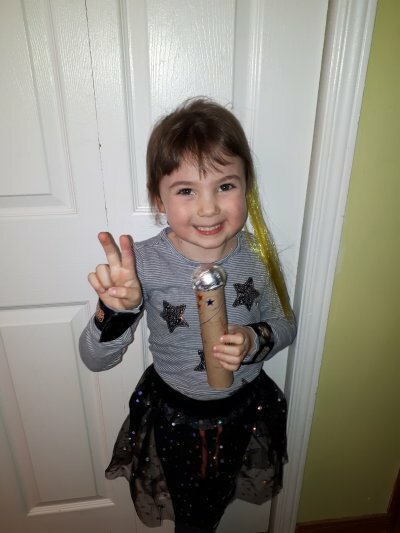 This activity box includes two rock star diva tutus, two rocker cuffs, two hair extensions, two make-and-decorate rockstar microphones and song sheets. 12 mini markers and lots of rockstar stickers are also included. Put on your tutu, clip on your colorful hair extension and we are ready to rock! The song sheets encourage you to come up with an original song and who knows… next stop The Grammys! Playdate in a Box Pirate Adventure from Artful Playdate! Complete kit to have a pirate play date. Arts and crafts plus imaginative play! 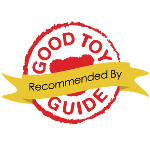 Make your own pirate bandanas, create your own pirate hooks, wear eye patches, play with foam daggers, decorate your own pirate telescopes, create your own treasure maps, hide 10 gold coins, and search for buried treasure. 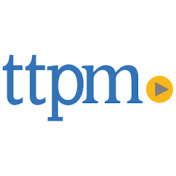 TTPM reviews this cool set! For full review and shopping info? 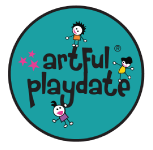 Product Info: Kids can have a pirate adventure in their very own home with the Playdate in a Box Pirate Adventure from Artful Playdate. Combining arts and crafts with imaginative play, this cool set includes costume pieces, props, and activities for a pirate-themed adventure for two. Inside the box are color your own pirate bandanas, create your own pirate hooks with two foil squares, and two cups, eye patches, foam daggers, decorate your own sliding pirate telescopes, create your own treasure maps, 10 gold coins, four crayons, and foam stickers. There's also a sealed scroll with instructions, and a secret mission encouraging kids to search for buried treasure.